Apparently, the 21st century’s impression of you is reduced to your ability to articulate an entire hypothesis in 140 Twitter characters, how great your Facebook page is, your count of followers on LinkedIn, and how tech savvy you are. “Old school” values like those depicted in the blogs don’t seem to matter anymore, especially to Millennials. In their last published stats, the U.S. Bureau of Labor Statistics predicted that by 2015 millennials would overtake the majority representation of the workforce and by 2030 this hyper-connected, savvy generation will make up 75% of the workforce. 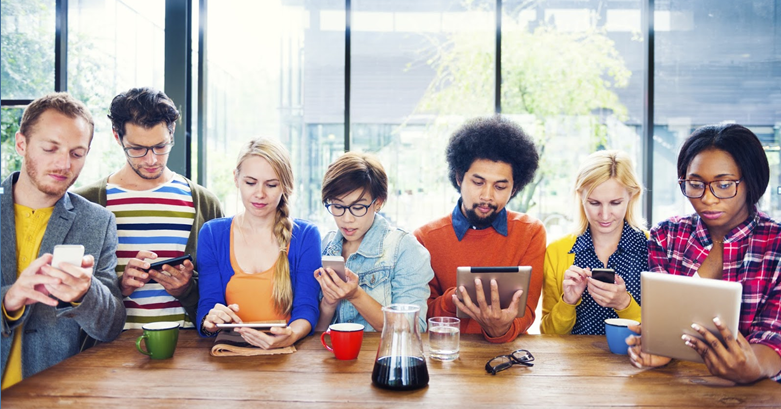 Millennials are a generation that will seek to solve problems themselves and if they’re not satisfied with the technology being offered to them, they’ll find something else to use. While 16% of office workers use Dropbox to store work documents, this rises to 31% of 18-24-year olds and 24% of 25-31-year olds. 22% of both age groups also use Google Drive and 29% of 18-24-year olds use iCloud. Millennials are not just influencing the direction of software but driving expectations and forcing supplies to evaluate and revise “old school” business processes to accommodate the 21st century business model. Software developers, like Spitfire Management, who accept change and endorse, rather than ignore, the Millennial force will flourish. A founding principle of Spitfire is the requirement to be on the leading edge of technology. So how have we responded to the Millennial force for years? Here is a short list about our Spitfire Project Management System; our roadmap for the future is even more exciting. 2014 Cloud synchronization with Box, Dropbox, Google Drive, etc. To pull this off we relied on some “old school” traits like experience, wisdom, effort, skill and communications. So, while we learn from the Millennials, we still have a thing or two to offer them too. Maybe they do care! If you are looking for a project management application that will keep your company on the leading edge of market demands, give us a call. This entry was posted in Cloud, Mobile Devices, Project Management by Dennis Stroud. Bookmark the permalink.